The new FTM-400XD includes an improved GPS receiver that employs the latest in GPS technology providing faster and more accurate satellite searching fuctionality. These advancements will reduce GPS Time-to-First- Fix (TTF) thereby speeding up navigation and telemetry functions. 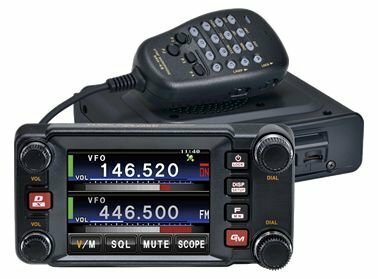 The FTM-400XD uses C4FM FDMA (C4FM - 4-level FSK Modulation, FDMA - Frequency Division Multiple Access), which has been developed for the professional LMR communications. It uses this enhanced technology for a lower BER (bit error rate), resulting in stable communications without interruptions during mobile operations, even in a rapidly moving vehicle.